I'm sorry if you've received a number of calls form us; I I can appreciate how frustrating that would be. This is highly unusual if you placed your order over the phone (you mention speaking to someone), so if you could please contact us via a method listed on our website, we'll be able to look into this further and work to stop it if it's still happening. So that I can look into this for you, please reply to this review with your order number so that I can access your details. Following ao.com's reply to my review I called their Contact Centre. The tone they adopted was polite, apologetic, understanding, constructive and conciliatory. They had refunded the service and delivery charges but I no longer needed their Driver Team to attend, as I had an installation guide and was able to work out what to do and successfully complete the installation myself. Additionally, they effectively made a significant goodwill gesture, so overall I would alter my rating from 1 star to 2 stars. I should still have preferred it if they hadn't secured the sale by promising next day delivery and expert installation, and then not been able to fulfil their commitment. This is a poor practice, not to be considered acceptable, even if they did try to be nice about it afterwards. I'm extremely sorry to read of the experience you've had with us on this occasion. This certainly isn't the impression we want our customers to be left with at all. So that I can look into this for you, please reply to this review with your order number so that I can locate your details on our system. I'm extremely sorry to read of the issues you've experienced with your appliance. I can certainly appreciate how disappointing and frustrating this must be for you. So that I can look into this matter in detail, we would require your order number and post code so that your details can be located on our system. Rest assured, we're here to help and want to provide you with a satisfactory resolution. Thanks for providing your order details. We usually suggest that customers speak to the manufacturer, as they are the experts when it comes to their own products and can offer the best advice. Before an appliance is placed on the market, it undergoes vigorous testing, as do the component parts. However, no manufacturer can guarantee how long an appliance will last before a failure occurs. Therefore, the manufacturer supplies a guarantee period for parts and labour in which repairs and parts are covered. We'll always do our best help customers with any issues they are experiencing, and it's most unusual for a customer to have so many faults with two separate appliances. Having looked at the notes on the order, I can see that in order to resolve this issue we have agreed to replace the machine for a completely different make and model. We take customers comments very seriously and always try to improve the services we provide from your valuable feedback. We're constantly working hard to make sure our customers agree that we're exceptional in the moments that matter. I'm sorry this has not been your experience on this occasion. I am very sorry to learn of this issue with your steam mop. Please can you reply with your order number so that we can look into this for you? I’m very sorry to learn that you received a faulty appliance and I know how frustrating that must be. I cannot see the particulars of your order and so can only speak in general terms, however I can assure you that the agent that you spoke to will have done everything they could to put things right. The earliest arrangements any agent can possibly make is a next day delivery with a morning (7-12) timeslot. If you requested to be the first delivery, or one of the first, then this isn’t an arrangement that can be made and guaranteed; they can only request it of the courier in question to see if that can be accommodated. I’m sorry that this wasn’t something that could be arranged for you in the end. I completely understand your desire to have it delivered very early in the morning, but the nature of routing and logistics means that this isn’t possible in all situations and that’s in part why agents are limited to requesting it. Please accept my apologies. It’s always disappointing to hear that a customer wouldn’t shop with us again or recommend us; this isn’t something that any business would want. As I mentioned, I don’t have access to your order details to give more specific information, but if you’d like to discuss this in more detail then please don’t hesitate to contact us; the various methods that you can reach us are provided on our website. I'm really sorry to read about your recent experience with us and I can understand your disappointment. We use a two man delivery team and we’ll always do our best to ensure customers receive their order. However, the products we deliver are often big and heavy items to lift, so there will be certain occasions when we may be unable to get it into your property. Lots of steps, narrow corridors, radiators and restricted parking are all things that may hinder our ability to deliver. So the driver will always asses the delivery on the day. The crew will only refuse delivery if it’s likely to cause damage to the appliance, property or injury to themselves. However, if you could update your review to include your order number, I'd be happy to look into this further. I'm sorry to read that the installation of your dishwasher wasn't able to be carried on the day of delivery. I can certainly understand how disappointing this must have been for you. I'm glad that a member of our Contact Centre was able to assist you with this and arrange for a different Driver Team to attend and resolve the connection issue. You'll have to let me know your order number so that I can ensure the crew know you've been in touch and that they get all of the credit they deserve for impressing you. We really hope that you're happy with your new appliances and that we get to see you again sometime in the future. I'm sorry to read of the experience you've had with us concerning the delivery of your washing machine. I can certainly appreciate how disappointing this must have been for you. Due to the amount of deliveries we perform on a delay basis, we require large vehicles in order to fulfil each delivery that is booked in. The vehicles we use are around the same size as a dustbin lorry (7.5 tonnes). Having looked at the notes on your order, I understand that there wasn't adequate space available for the vehicle to park on the road. It was agreed that we could attempt delivery again the following day in the hope that parking would be available. I'm pleased that the delivery went ahead as scheduled the following day and that the washing machine has now been installed in your home. We hope that you're happy with the item and that is being put to good use already. My sincere apologies for any inconvenience the delay with the delivery of your item may have caused. We really hope this experience won't hinder your decision in considering us again in the future. 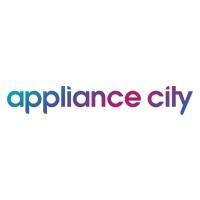 Appliance City - www.appliancecity.co.uk 1.